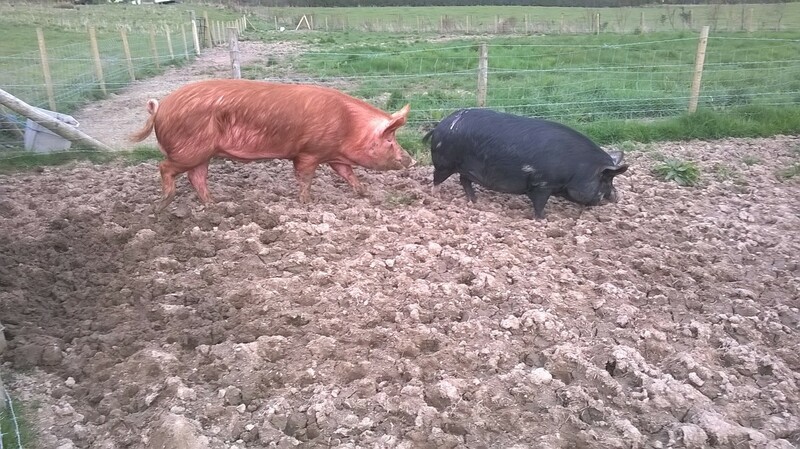 We have had a lovely couple of sunny weeks, just what was needed to dry out the land. This has enabled us to get busy. Planting and sowing is now in full flow, following the bio-dynamic planting calender days for each crop type. 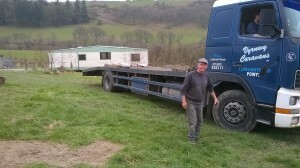 Now the land is drier we can move vehicles around. Griff our local friend and contractor spent a couple of days on site with his digger. 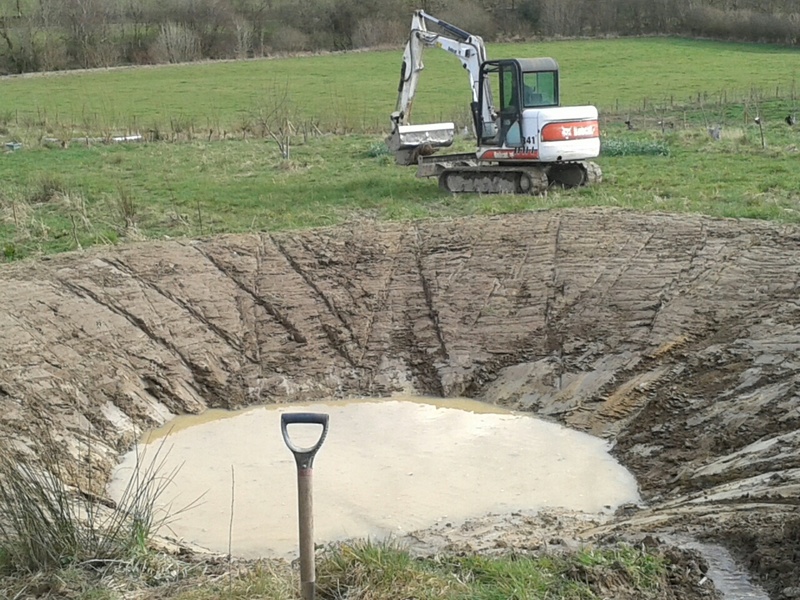 Digging the long awaited wildlife pond in the top field by the steam. 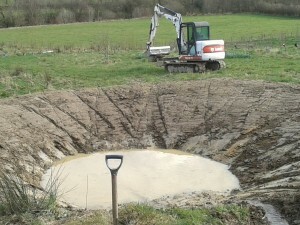 Now we have the start of the pond we can get ducks. At the weekend we got five khaki Campbell crosses. They will eventually live on a floating island on the water. At the moment they will live with the hens till they are settled on our site, then they will help to puddle the clay in the pond to seal it. This breed originated in England and are good egg layers. Griff also levelled a flat area in readiness for our static caravan which arrived this Thursday. It is only a water tight shell at the moment, that the previous owner had stripped of fittings and started to insulate and clad. We will continue to do this as we find bits of kingspan and board. 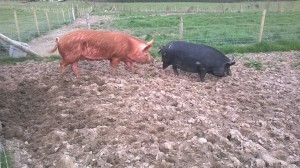 Yesterday the prize wining Tamworth boar arrived to visit our girl. He will be staying for a month.